Now that Spider-Man has (supposedly) finished filming his scenes for Captain America: Civil War, we can turn our attention to his solo film. We’ve already got writers and a director. The studios have finally nailed down Peter Parker in actor Tom Holland. Now the fans want to know who we’ll see the wall-crawler go toe-to-toe with. If the rumors are to be believed, it could be a deadly hunt with Spider-Man as the prey. Heroic Hollywood has sources that say Sony’s VP of Creative Affairs Karen Moy was found purchasing a copy of the seminal Spider-Man story Kraven’s Last Hunt on Amazon. This is interesting. I’m not figuring that the studio will try and do the classic storyline for their first solo Spider-Man film in this new era, but Moy might just want to get a feeling for what makes the character of Kraven tick. In the comics, Sergei Kravinoff is a big game hunter. He only hunts the most challenging game and he does so without weapons, using only his superhuman strength, agility and senses. Adopting the name Kraven the Hunter, the villain attempts to cement his legacy by hunting and defeating Spider-Man. This soon turns into a deadly obsession, and by the time we get to Kraven’s Last Hunt, we see the tragic toll the hunt takes on Kravinoff. After defeating Spidey and taking over his life for a bit, Kraven proceeds to take his own life. They could always go the Ultimate Spider-Man route and make Kraven a Steve Irwin-esque reality TV star that hunts Spider-Man as a publicity stunt. That would be an interesting route. But if Moy is mining ideas from more serious works like Last Hunt, I’d table that idea for the time being. Marvel Studios head honcho Kevin Feige has been heard saying that the next villain in a Spider-Man film will be one we haven’t seen yet. Kraven definitely fits that bill. And even scarier is that Kraven has no connection to Peter Parker or Spider-Man at first. So now our hero will have this guy chasing him for no reason other than he sees him as a challenge. What are your thoughts? 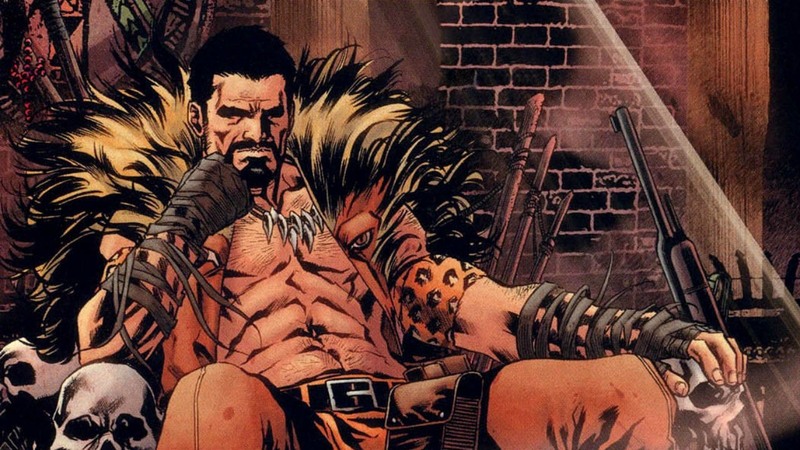 I’d love to see a badass version of Kraven the Hunter onscreen. This entry was posted in Breaking News, Film, Marvel and tagged Kraven the Hunter, MCU, Spider-Man. Bookmark the permalink.